I’ve rearranged the statistics into approximate usage order. 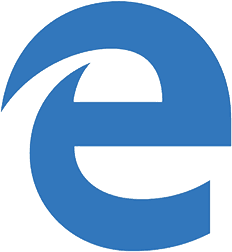 Edge and IE11 are counted separately, but IE10 and below are wrapped into the increasingly irrelevant oldIE category, which now accounts for less than 3% of the market. Edge is growing its user base by up to 10% per month, but it’s not gaining users at the rate IE is dropping. IE11 remains a capable browser, but development has been abandoned and usage is falling accordingly. Edge is solid competitor to Chrome and Firefox, but it only runs on Windows 10 — and not everyone is able or willing to migrate yet. The Microsoft ecosystem still feels a little disjointed when compared to Google: online login can be painful, collaboration isn’t as slick, Outlook’s HTML email view is poor, Office does not support SVG, Edge extensions are yet to arrive, and non-Windows OS software can be patchy. Google and Apple need strong competitors, but Microsoft are playing catch-up and it’s not been enough to stem the flow of users. They can succeed, but innovation will be the only way to win. As for the other browsers, Firefox’s small jump during April consolidated its position at #2, with a 0.83% advantage over IE/Edge. Chrome increased slightly, and it was a relatively good month for Safari, given the recent drop in form. Mobile usage jumped by a huge 2.25% during May and now accounts for 45.81% of all web activity. Warmer weather in the northern hemisphere may account for some of that increase, but we’re within reach of the promised 50:50 split. Application usage remained similar to April, although it seems the Samsung surge has ended. Perhaps people have stopped using their shiny new S7s every few minutes?! The main mobile news is Microsoft’s disposal of the Nokia brand just two years after their $7.2 billion takeover. Nokia’s aging feature phone business has been sold to FIH Mobile Ltd for $350 million and 1,000 jobs were cut. Ouch. Nokia’s old models still rank as the most popular ever sold, but the brand is set to disappear into obscurity. Rumors remain about a new Surface Phone, but Microsoft has struggled in the mobile arena. Windows phones are generally well made, fast and intuitive, but they arrived too late on the market and struggle from a lack of native apps. I suspect Microsoft will shelve their mobile ambitions.